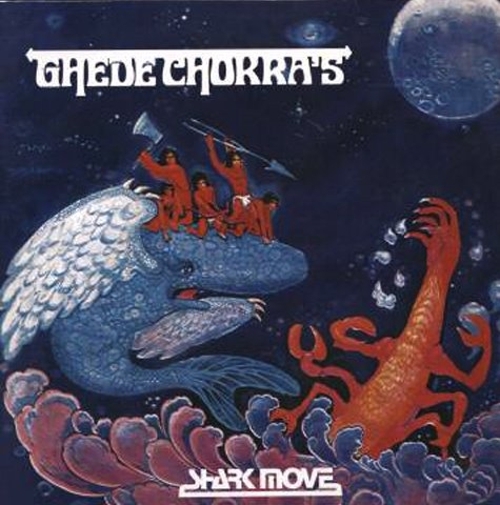 SHARK MOVE's Ghede Chokra’s is a slab of raging psych straight out of early '70s Indonesia! When the Suharto regime seized power in the late '60s in Indonesia they immediately began to crack down on the alternative culture, with only a brave few willing to rebel, and the leaders of this musical rebellion were Shark Move. 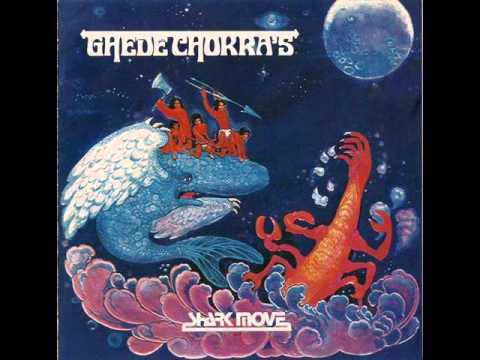 Recording Ghede Chokra’s (translated from the Sanskrit as the Great Session) in 1973, Shark Move unleashed their psych masterpiece on the world on their own tiny label. From these small beginnings the Shark Move legacy grew exponentially, first within the Indonesian scene, and then around the world with the classic “Evil War’ featured on Now Again’s seminal Those Shocking Shaking Days compilation. Recognizing a killer riff when he hears one, Madlib lifted the track wholesale for his “City” single in 2013. With original copies of Ghede Chokra’s now trading hands for obscene money, and even the extremely limited Indonesian repress from a few years ago impossible to find, we decided it was time to step in and reissue this monster! Pressed on blue vinyl with white splatter, and housed in a deluxe gatefold sleeve, now is the time to get your hands on this classic release.